Interior design for a boeing business jet. It is designed in modules, every aircraft can be resembled according to the customers needs. Welcome to the new Boeing BBJ 737-700. Please make yourself comfortable wherever you like so that we may introduce you to the special features of this new aircraft. We have exploited the beauty and potential latent within the form and volume of the aircraft in order to make the interior layout more suitable for human inhabitation. The main objectives behind the design of the Boeing BBJ 737- 700 are to maximize comfort and flexibility while giving clients a feeling of empowerment through the experience of flight. 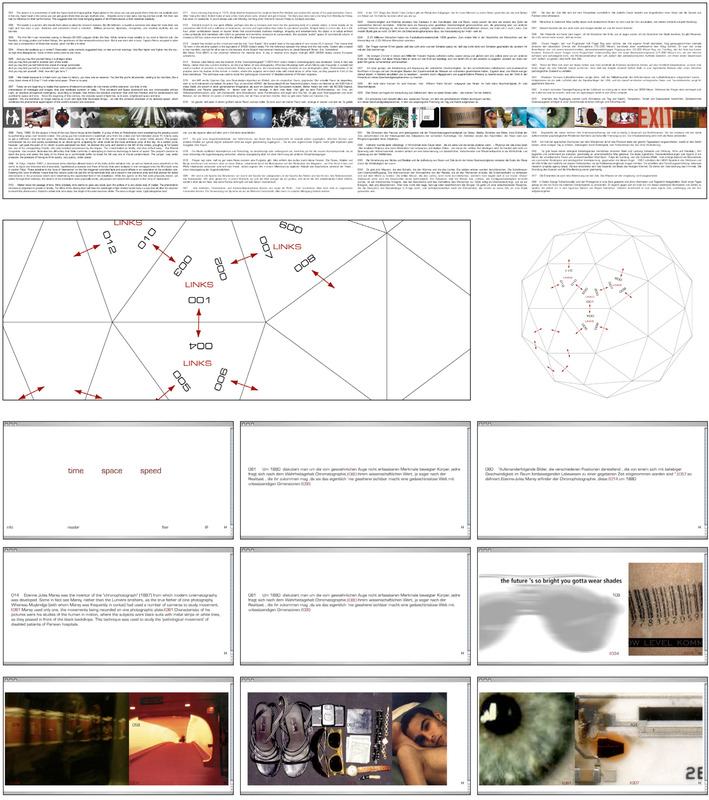 The theoretic part is a hypertext with the topic ‘space speed and time’. The links where quotes and pictures, which surrounded this theme. 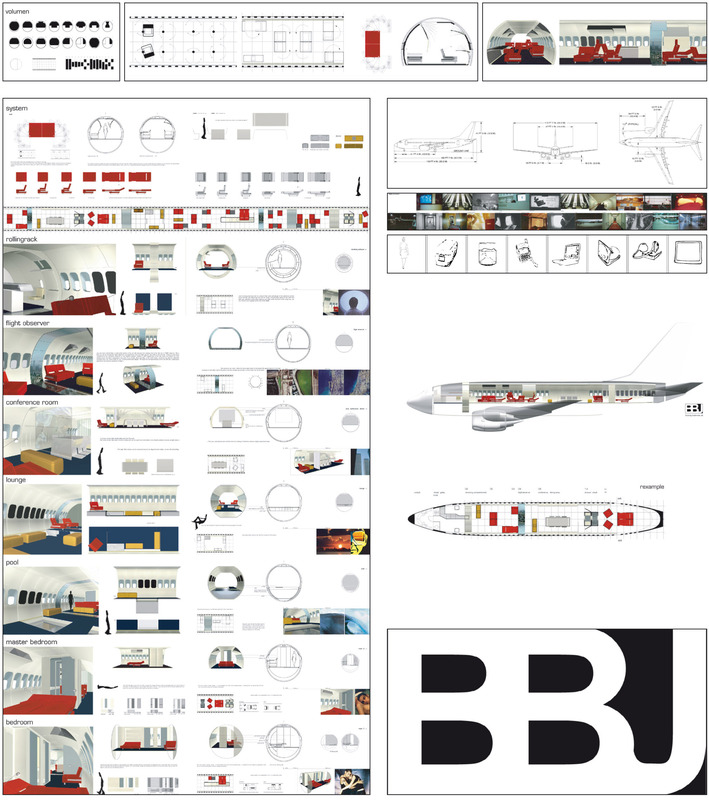 Interior design for a boeing business jet. The textual part is a hypertext with the topic ‘space speed and time’. The links where quotes and pictures, which surrounded this theme. Every screen hast two further links, so that you can find you own text while cruising the theme. Structurally the link-system is based topologically on a sphere.